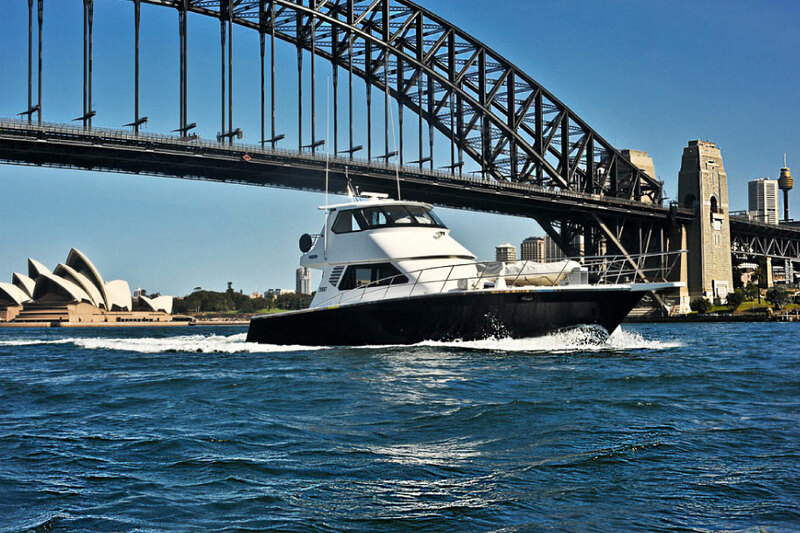 The stunning State of The Art is a 65ft luxury motor vessel based on Sydney harbour all year round. 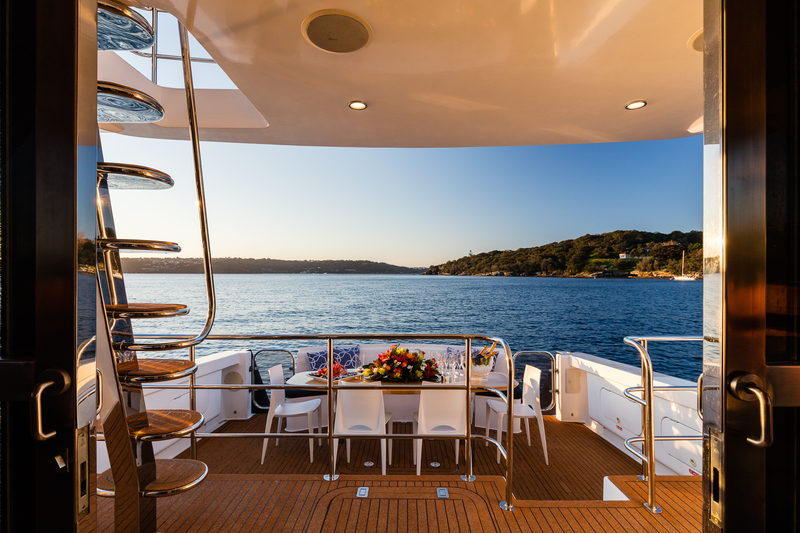 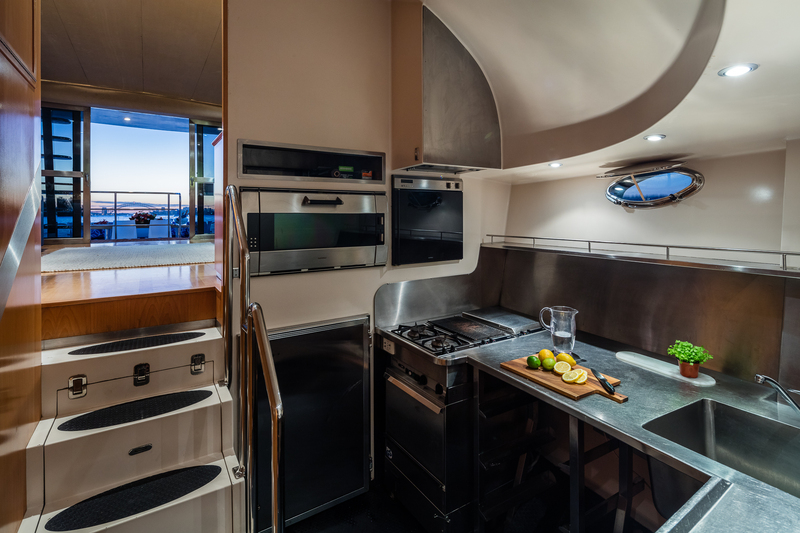 State of The Art boasts an open plan layout, her saloon flows out the stern deck which includes luxury seating for guests. 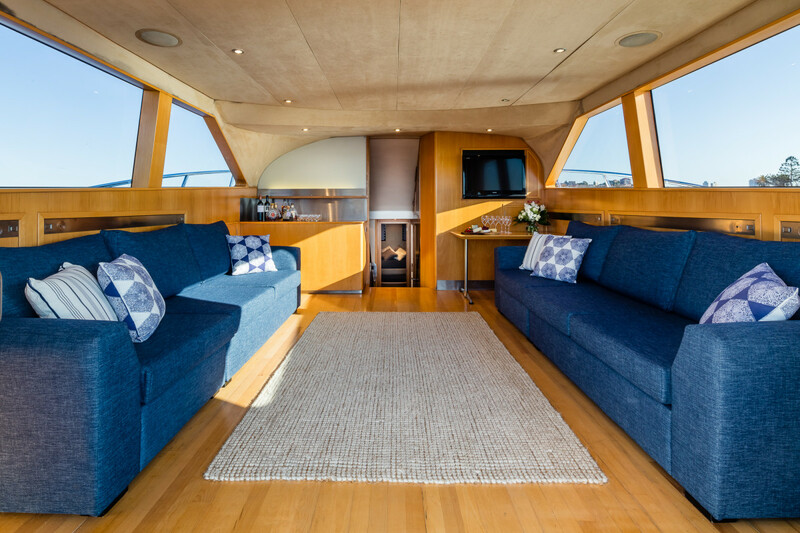 State of The Art has been recently refitted and includes a neutral nautical theme with timber finishes. 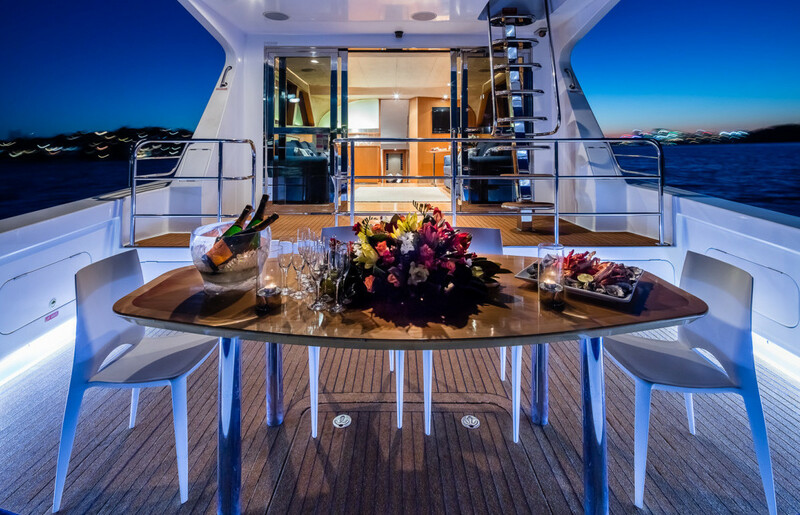 What sets SOTA apart is her flexibility in layout, her saloon is filled with furniture for cocktail style events, however we can remove this furniture and set for 20 guests formal seated dining – there is no other vessel this size that can do so. 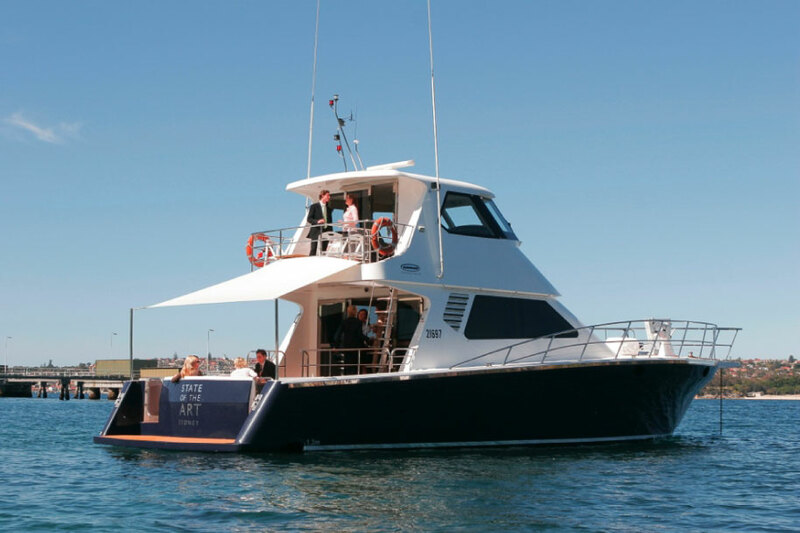 This makes her the ideal choice for business meetings, corporate charters or intimate weddings. 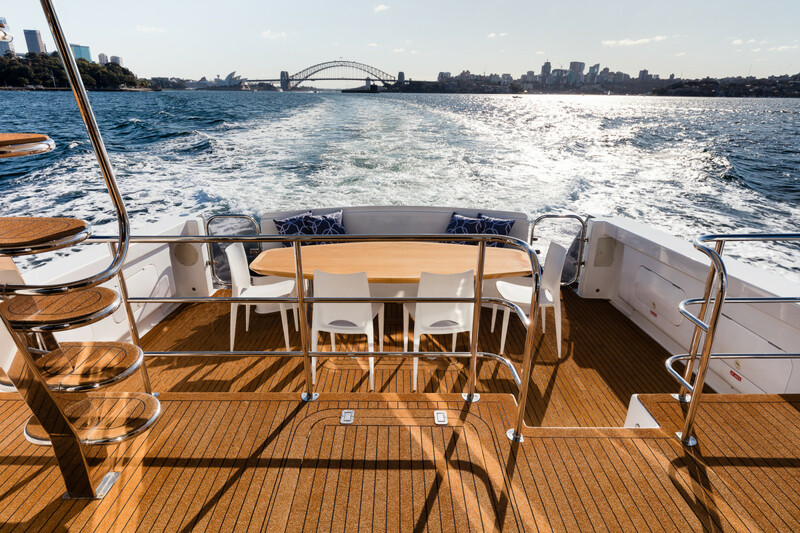 State of the Art is a beautifully appointed luxury 65ft motor boat specifically designed for luxury charters on Sydney Harbour of up to 45 guests. 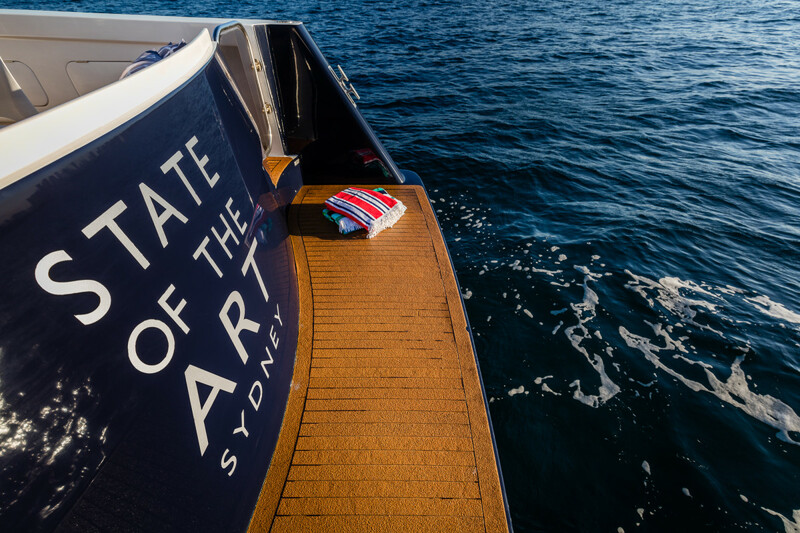 Whether you are planning an intimate wedding or hosting a VIP event, State of The Art delivers the ultimate in luxury for every event.